Our unique little book for parents in the Neonatal Unit shows them how they can get to know their baby, and what they can do to provide the loving care their baby needs. 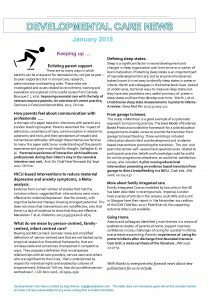 Our free newsletter and events page keep health professionals up to date with Family and Infant Neuro developmental Care, helping to spread excellence in this essential aspect of care for parents and babies in hospital. A book for parents of preterm babies. 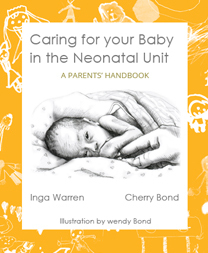 “Caring for your Baby in the Neonatal Unit” is a handbook for the parents of premature babies in a newborn intensive care or special care baby unit. It is about the vital part that parents play, right from the start, as they get to know their baby and provide the loving care their baby needs..